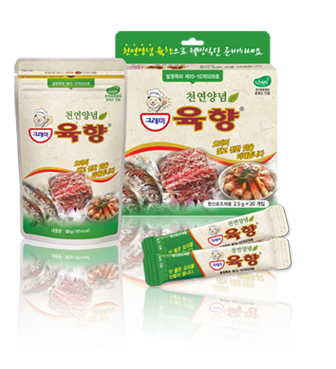 Glami Yukhyang is a 100% natural spice made mainly of garlic, ginger and licorice. It enhances taste and flavor of meat and fish while removing their smell. Now use the natural spice Glami Yukhyang, a magician of taste, for cooking meat an fish.